The media coverage following the New York Times exposé continues with over 600 online editorial articles and about 900 social media posts. 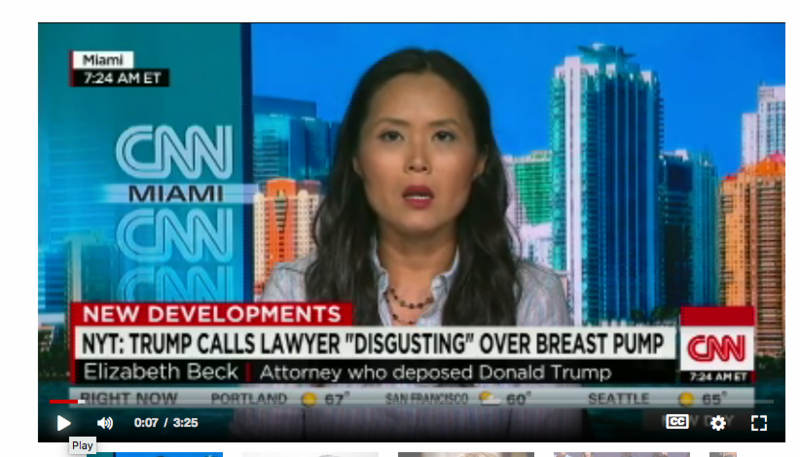 Below are just some of the recent articles and programs including one from 2015 that gives an insight to President Trump’s personal views about breastfeeding. 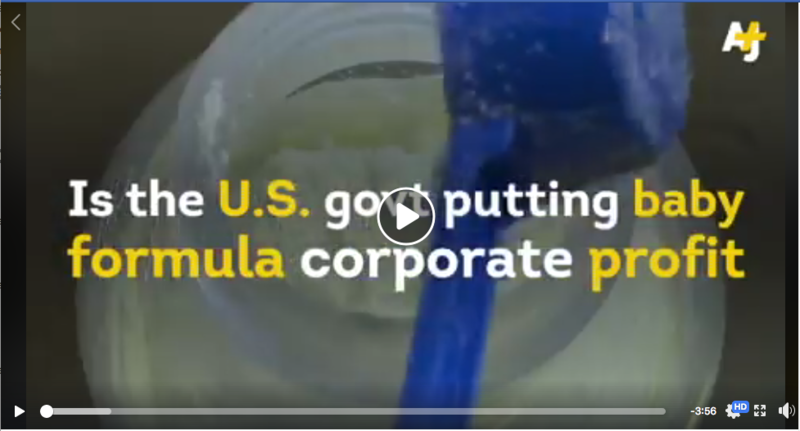 Here a Facebook link to a new piece by Al Jazeera. This Round Table discussion went out on Turkish TV on Thursday 26th July. 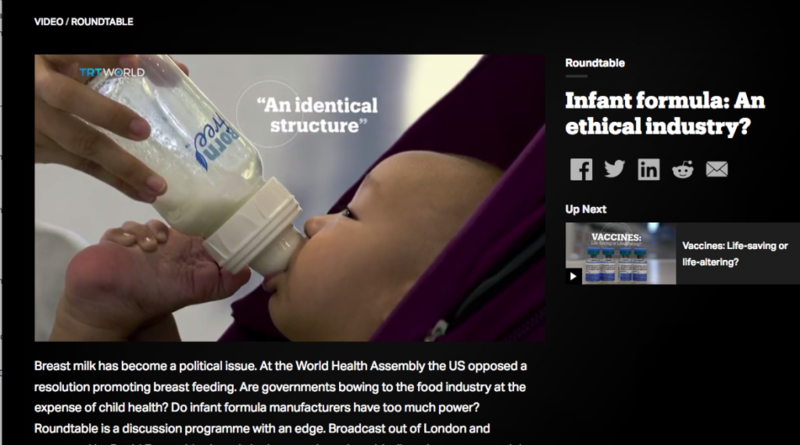 Alice Delemare, Campaign adviser at Changing Markets; Patti Rundall, Policy Director at Baby Milk Action; Sabita Uthaya, Consultant in Neonatal Medicine at the Chelsea and Westminster Hospital; and Mitch Blair, Professor of Paediatrics and Child Public Health at Imperial College London. The two Turkish TV discussions are interesting, touching on sponsorship and research issues. 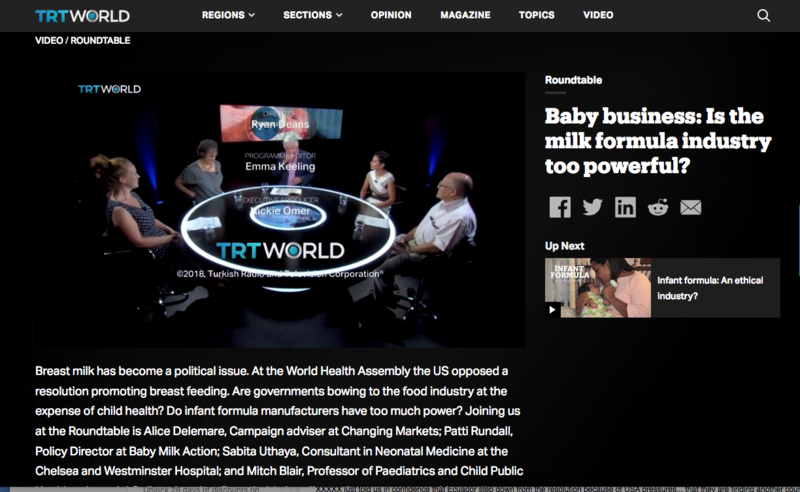 Round table – Baby business: Is the milk formula industry too powerful? Pew Trusts: The U.S. 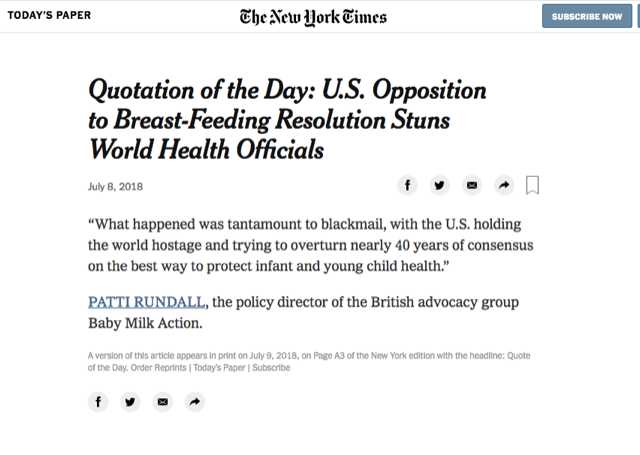 Targeted Breastfeeding Abroad. Here at Home, It’s Another Story. July 12, 2018. 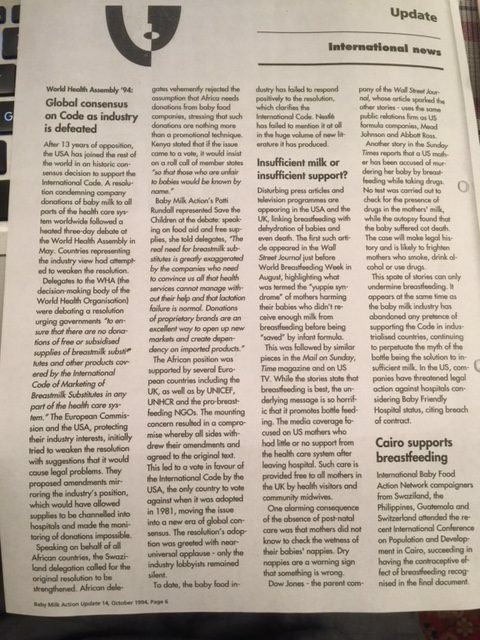 During the 1994 World Health Assembly, the USA and EU objected to a Resolution calling for an end to donations and discounted sales of formula to health care systems. When African delegates threatened to call for a roll call (a vote) all sides withdrew their objections and global consensus on the code was achieved for the first time. Our report in Update 14, October 1994 is below.